1954 Peerless Engrav-o-tints Portraits Of Movie Stars Ginger Rogers in nmt condition. 1957 Topps Hit Stars #6 Johnny Mathis in nmt condition. 1957 Topps Space Cards #9 'Radio Telescope' in exmt-nmt condition. 1957 Topps Space Cards #4 'Recovering The Rocket' in exmt-nmt condition. 1957 Topps Space Cards #38 'It's Easy - On The Moon' in ex+ condition. 1957 Topps Space Cards #26 'Flying Practice' in exmt condition. 1957 Topps Space Cards #15 'Zero Hour' in exmt-nmt condition. 1958 Topps TV Westerns #52 John Payne As Vint Bonner in ex+ condition. 1968 Topps Laugh In #4 Arte Johnson in exmt-nmt condition. 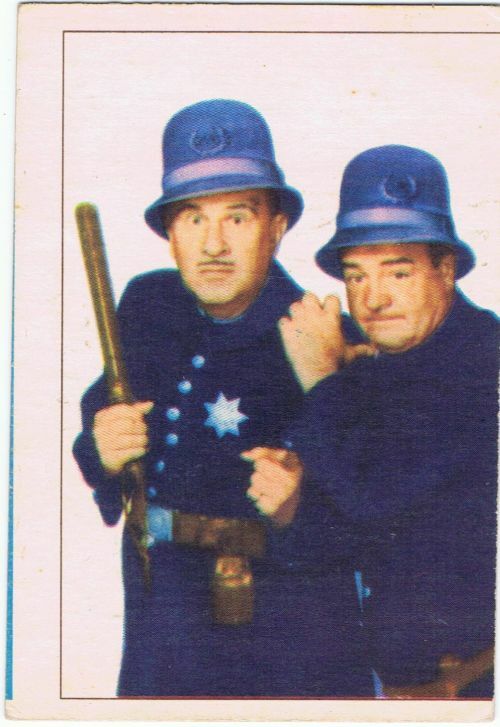 1955 Parkhurst #1 Abbott & Costello Movie & TV Stars in exmt oc condition.